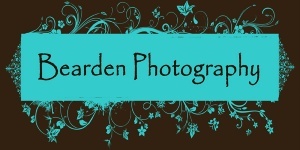 Welcome to Bearden Photography's Online Store! Here you can view and order prints or products safely and securely. You can also view the session options. Please note that we have a $25.00 minimum for your order to be processed. Once you have completed your order you may pay using a credit card, paypal, or check. If you have any questions or problems, contact us at 325.773.2397. We hope your enjoy your shopping experience! All photographs on this website are subject to copyrights of Bearden Photography and are protected by the Copyright Law of the Unites State (Title 17, United States Code). Reproduction, storage or transmittal by any means, of any image on this web site, whole or in part, is prohibited without express prior written permission. Prints purchased from this website may not be reproduced or scanned for any reason and may only be used for personal display. If you wish to publish or reproduce the materials in any physical or digital form or use them for any commercial purpose, including display or Web page use, you much obtain prior written permission from Bearden Photography.